That sparkler on your finger is a statement piece, but more importantly, it's an investment piece. 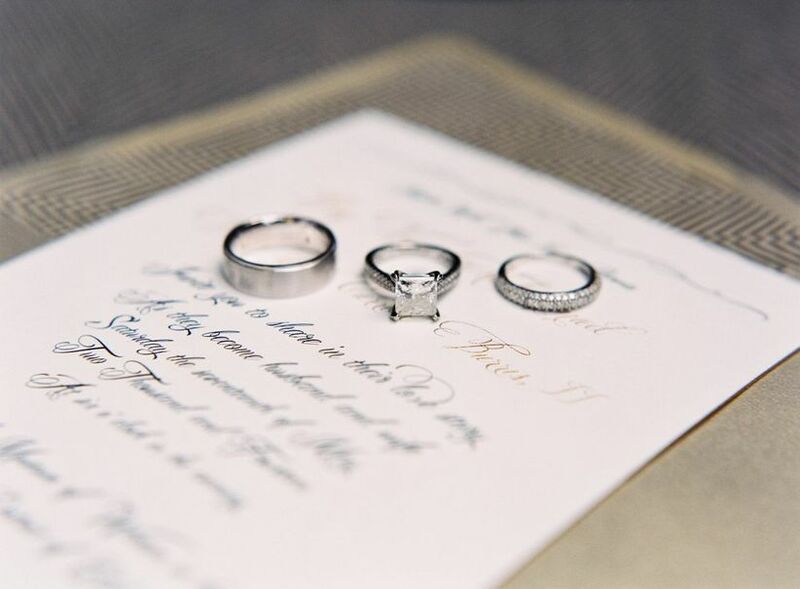 These classic engagement rings are sure to stand the test of time. 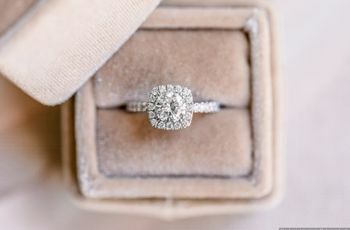 While engagement ring trends can be fun to look at in passing, it's completely normal to want a ring that's more traditional and timeless when the time comes to rock your own sparkler. 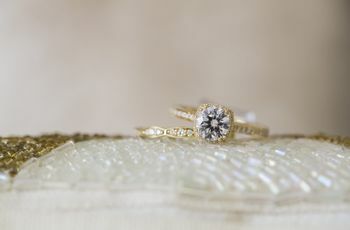 These classic engagement rings, from minimalist solitaire designs to chic oval-cut diamonds, will never go out of style. 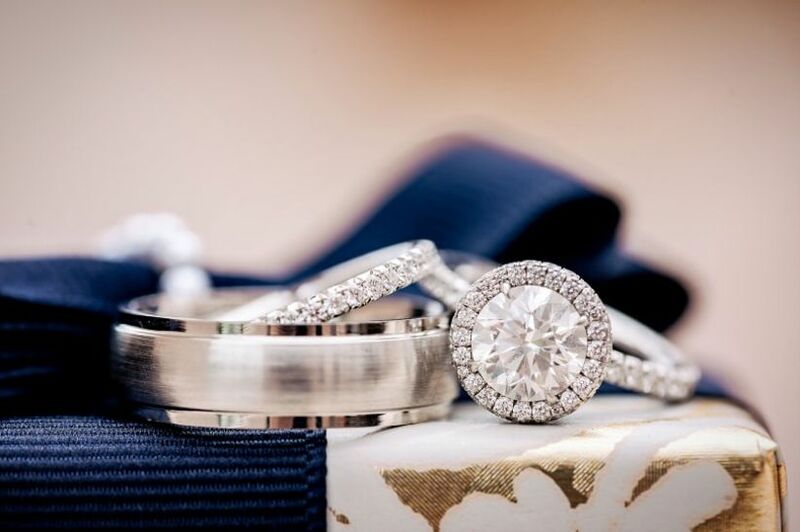 After all, when you're going to be wearing a piece of jewelry every day for the rest of your life, you want to know that it's something you'll still love in 20, 30, or even 50 years! 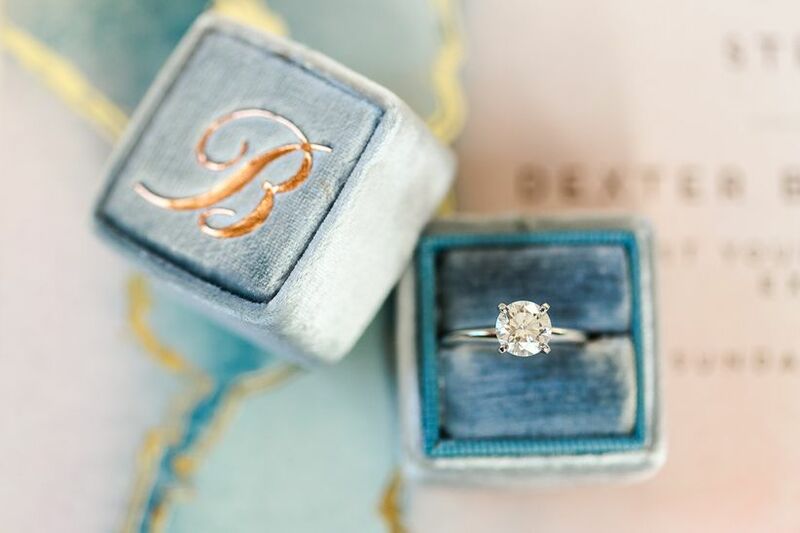 Here are 11 classic engagement rings serving up seriously elegant vibes. 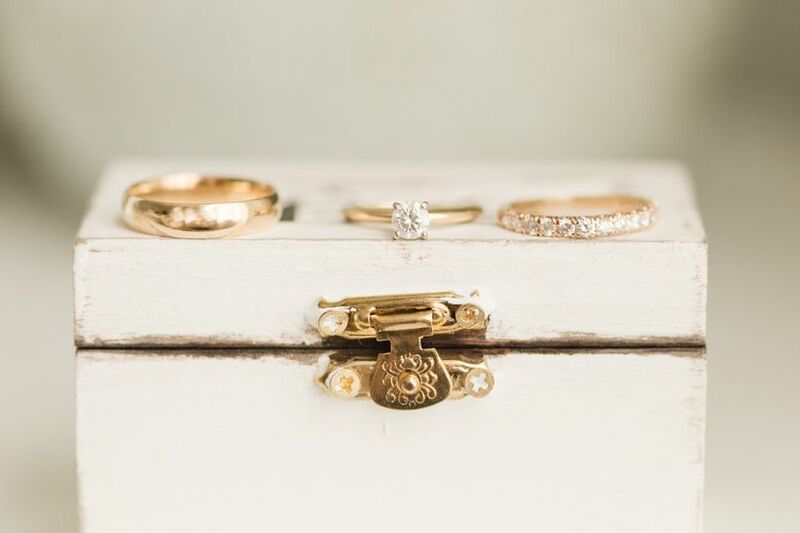 We're loving the return of yellow gold wedding jewelry! 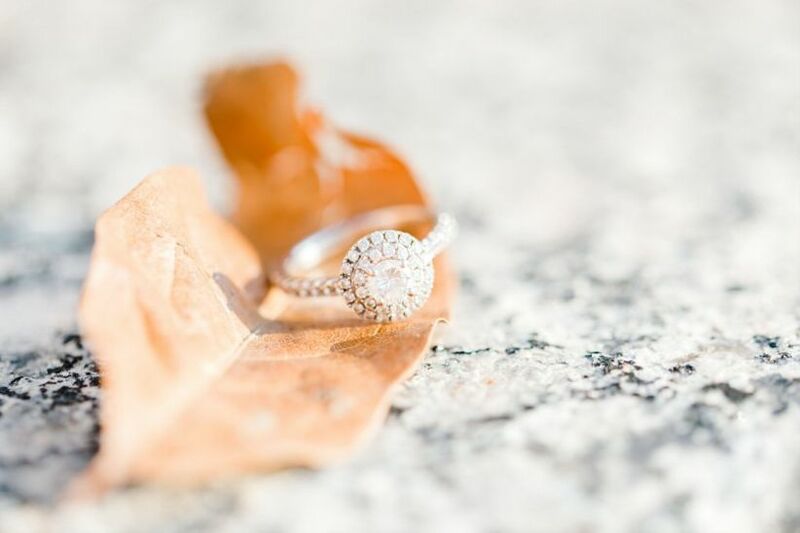 In fact, this warm hue is on our list of engagement ring trend predictions for 2019. A round solitaire diamond paired with a yellow gold band is one of the most timeless options when it comes to classic engagement rings. For the most up-to-date look, choose a gold that's somewhere in between rosy and brassy with a brushed finish to make it appear slightly matte. 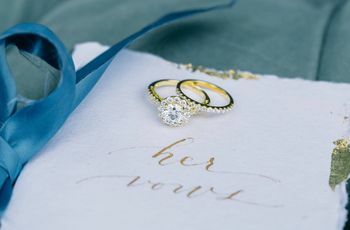 Alternatively, if you're simply not on board with yellow gold — or don't find it to be a flattering metal for your skin tone — a solitaire diamond looks just as chic when paired with a white gold or platinum band. 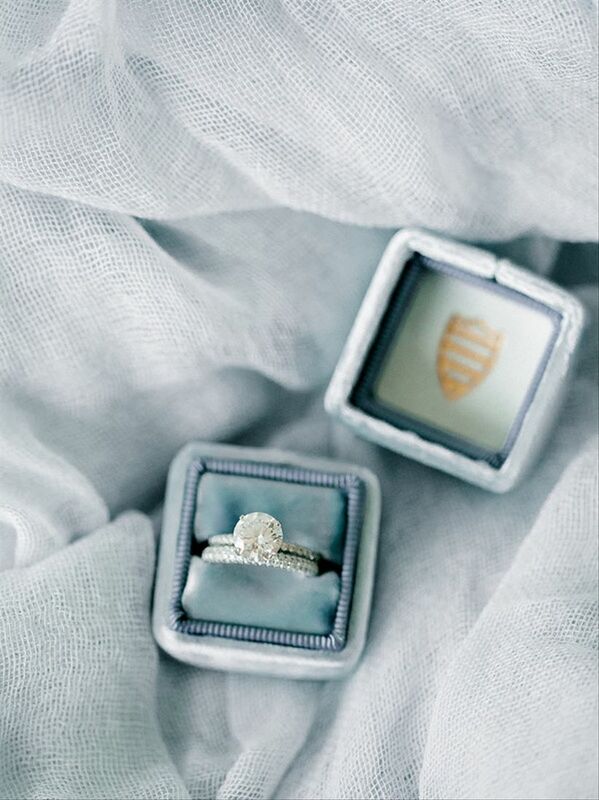 This option is perfect for brides who want a ring that's sensible, durable, and overall low-maintenance. Looking for something even more delicate? Consider a round solitaire stone with a pavé or micropavé infinity band. 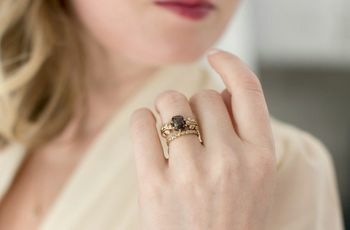 This is another can't-go-wrong style when it comes to classic engagement rings, and is especially lovely for those with slender fingers or small hands. A round-cut stone flanked by two baguettes is a stylish choice for the bride who prefers a band with some embellishment but doesn't want to go full-on pavé. Elegance meets modernity in the form of a solitaire diamond set in rose gold. 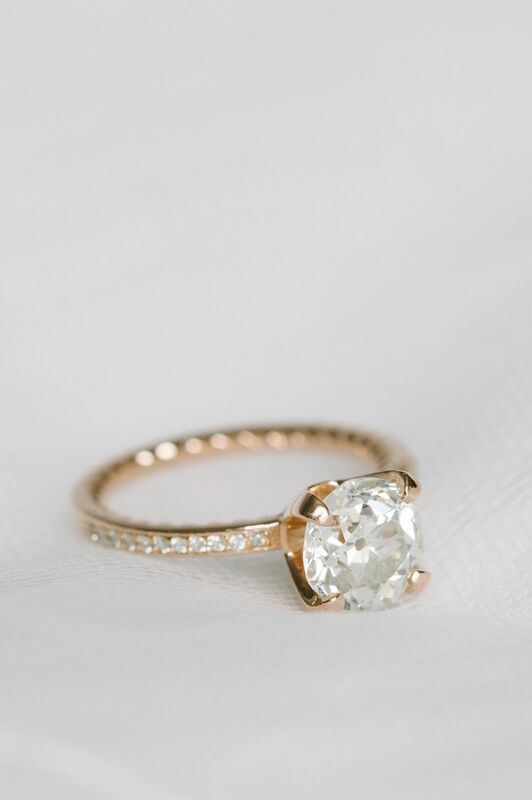 A round cut stone and channel band are timeless details, while rose gold metal adds a trendy touch to the engagement ring — think "updated classic" style à la brands such as Kate Spade, Draper James, and J.Crew! ...Or two? 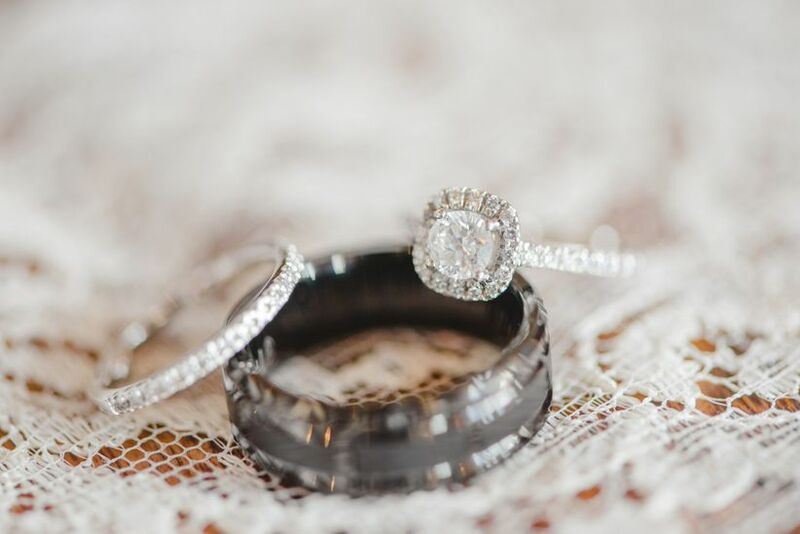 Take your classic engagement ring to the next level with not one, but two halos! A double halo setting creates the illusion that the center diamond is larger than it really is, all while guaranteeing plenty of sparkle. Since the overall shape is traditional, the ring still feels classy, not flashy. 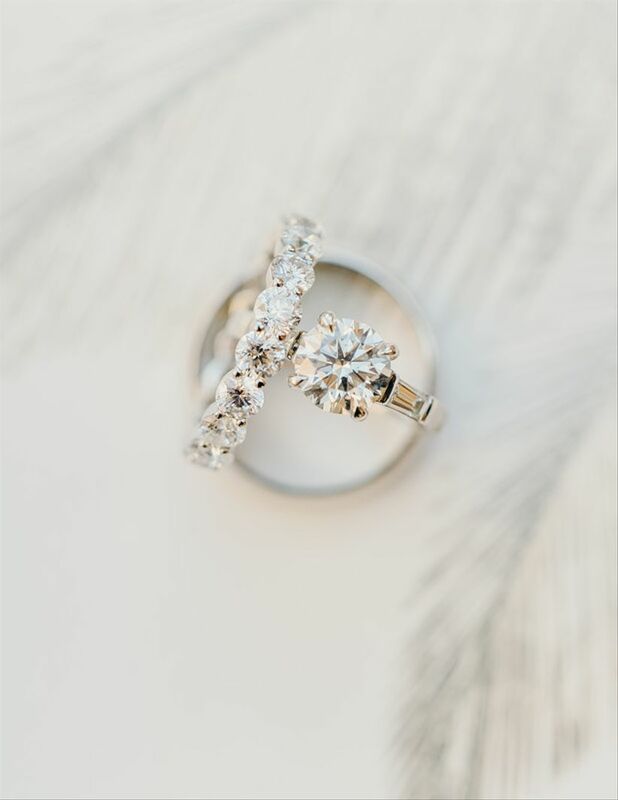 Make the center stone of your ring stand out by raising it slightly and surrounding it with a halo in a different shape, like this round-cut diamond and cushion halo. 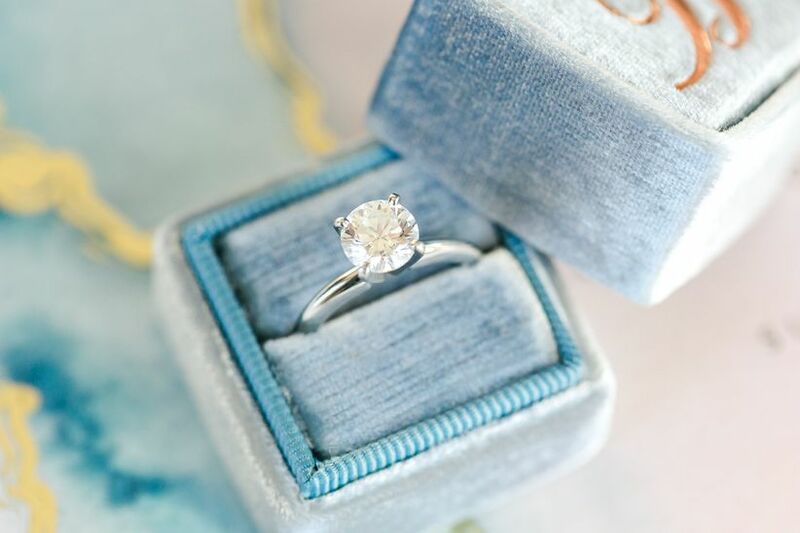 While circular stones are the most popular shape for classic engagement rings, there are plenty of alternatives for classic brides who want to branch out a bit. 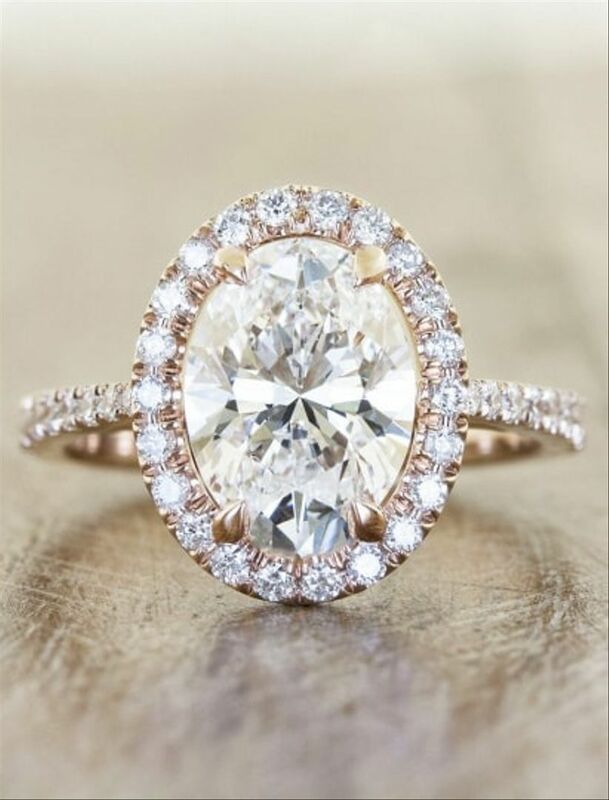 Oval cuts have become a favorite among brides who want a design that's elegant yet slightly non-traditional. 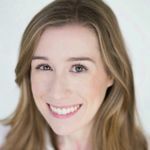 This shape looks amazing with or without a halo, and is favored by stylish celebrities including Blake Lively, Julianne Hough, Hailey Baldwin, LeAnn Rimes, and Whitney Port. Square shapes, like princess and asscher cuts, are some of our other favorite styles for classic engagement rings. A solitaire princess-cut ring has a luxurious, timeless look that evokes Old World elegance. Brides who love Kate Middleton's sophisticated style will agree that her oval-cut engagement ring is one for the ages (it belonged to Princess Diana, after all!). 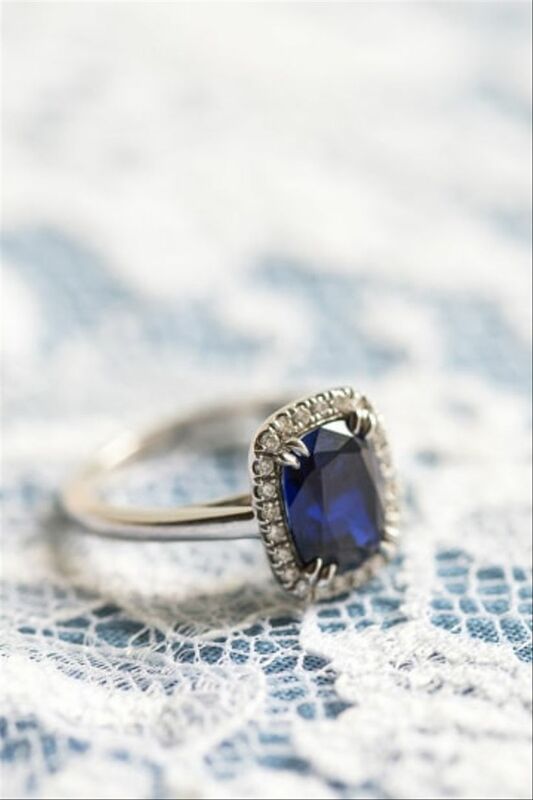 Get inspired by the future Queen of England and rock a sapphire engagement ring for a look that's classic but eye-catching.